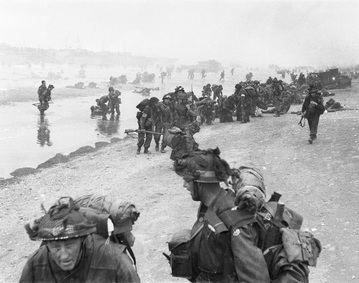 The British retreat at Dunkirk was a significant event at the beginning of World War II. Also referred to as the Dunkirk Evacuation, the retreat took place between May 26th and June 4th 1940, as German forces were attacking Belgium and France as part of the Battle of France.​ Code-named Operation Dynamo, the retreat at Dunkirk involved large numbers of British and French soldiers retreating mainland Europe to the British Isles after Nazi German forces overwhelmed them and cut them off from the rest of the Allied forces in France. ​After Germany invaded Poland on September 1st, 1939, to begin World War II, Britain sent the British Expeditionary Force (BEF) to France to help defend the country from a potential German attack. After a brief period where no fighting occurred, known as the Phoney War, Germany began its attack against France and Belgium through the Ardennes Forest. France was not anticipating a German attack through the Ardennes, believing that the forest was too thick for tanks to mobilize through. Instead, French authorities believed that Germany would attack along the France-Germany border where France had built the defensive Maginot Line. Instead, German tank division were able to push through the Ardennes Forest with relative ease and surprised the British and French. As the German tank divisions pushed through into France, they circled north and raced to the English Channel. This maneuver cut off the British Expeditionary Force and other French soldiers from the rest of the army and they were threatened with losing hundreds of thousands of soldiers to the successful German assault. British Prime Minister Winston Churchill referred to the crisis as "a colossal military disaster" and that Britain was in danger of losing a substantial portion of its forces. In response, the British scrambled to evacuate the British Expeditionary Force from the harbor city of Dunkirk, France. From May 28th to the 31st, 40,000 French soldiers stood up against the German assault, delaying the German advance and allowing the British Expeditionary Force to build defensive structures and form a plan of retreat across the English Channel, back to Britain. 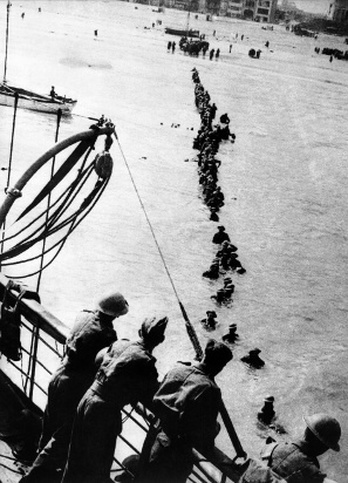 Over the course of the next 8 days over 335,000 soldiers of the British Expeditionary Force were able to flee France and return to Britain. They made the retreat aboard over 800 boats, including military vessels and a fleet of small merchant ships, such as: fishing boats, shipping boats and pleasure ships. Many smaller British ships made the journey across the English Channel to help rescue the trapped British forces and to flee the German push through Belgium and France. In the end, the retreat at Dunkirk was vital to the eventual success of the Allied armies. The rescued British and French soldiers would later play a critical role in the Battle of Britain and the Normandy Invasion. If the British had lost their entire British Expeditionary Force at Dunkirk, they made not have had the ability to help liberate France and bring an end to Nazi Germany.